Included with each title is a link to buy the book – it’s always good to support small press publishers – and a short overview of why I have chosen the book and what you can expect. The list is in alphabetical order by Author (not in order of preference!). To share the love I have also challenged myself to only choose 1 book from any single press (really struggled to pick just one book from Nine Arches Press, V. Press, and Indigo Dreams). I am going to focus on the last part of that statement – “those who feel inadequate in their lives” – so that would be most of us! I have written a lot of poetry recently about identity, and I think it is one of the biggest societal issues we currently face – I am fascinated and horrified at the current status of what it means to be a man, what it means to be a woman, and why we all care so much about these labels. For full disclosure – I am very good friends with Louisa – but I like to think I am writing and thinking about this objectively. I approached this pamphlet with excitement, because I love Louisa’s poetry, but also a healthy sense of worry, I knew these were going to be tough poems dealing with harrowing subject matter. What surprised me most, is that the pamphlet never felt overly heavy, it was always clear that these were not the best of times. But throughout the pamphlet are moments of light, of hope, of actual joy! (I don’t think it is often we feel that sense of joy in poetry – the tougher subjects nearly always make for more interesting reading). This pamphlet left me feeling happy to be alive, I felt positive that the bad things can be overcome and that joy can be found even after the darkest journeys. One of my favourite poems from the pamphlet can be found on the Three Drops from a Cauldron site https://threedropspoetry.co.uk/2016/09/18/three-drops-from-a-cauldron-issue-three/ it is called The Sleeping Beauty Poem (Seven years on amitriptyline*). One of the things I value most in poetry is originality and Rishi’s debut collection is originality concentrated. When I introduced Rishi at this year’s Swindon Poetry Festival, I said that his writing reminded me of the beat poets – I am not referring necessarily to its content but rather to the way it made me feel. This is exciting writing, poetry that takes you on a journey to a destination unknown. This pamphlet is full of small poems. Gentle poems that pack a punch. 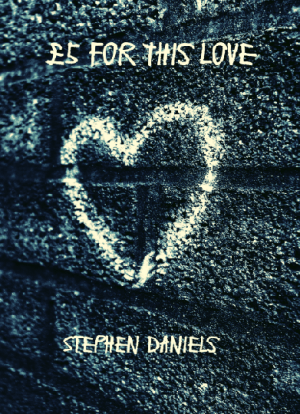 I was blown away by Sarah’s poetry, I spent the first week of owning it, dipping in and out. I enjoyed the poems but eventually I took the time to read it from start to finish and that I think is where its real power resides. These are poems that talk to each other, that tell a story of love breaking – it is so tender and honest, and the imagery is so disarming and arresting all at the same time. This is possibly the best title I have seen this year! It is also from a poet I have long admired. As you may have picked out at this point, I am a fan of darkness. I love it when tales get under your skin and leave you feeling vulnerable and this is what Kate’s poetry does in abundance. This pamphlet guides you through the everyday doomsday, the doomsday we are all going through and it offers no sweet solution. And I love that it doesn’t. The moment I heard about this collection I wanted to read it, at the same time I didn’t want to. I am not a fan of war poems… I dislike the way they often make you feel complicit in the acts or have strong moral leaning – as a person with a very strong anti-war stance – this always left me cold. Despite my hesitance, I went ahead and started reading it, and I am so glad I did. The poems are brutal and beautifully realised. This small square pamphlet is a finely crafted selection of 15 sonnets based on the photos that are shown alongside them. I heard these poems read aloud at the Swindon Poetry Festival 2017 and they worked very well without the photographs, but the images definitely add tone to the experience when reading the poems. The poems use the curious device of starting each poem with the last line of the previous poem – it works at taking you on Lee Miller’s journey each time the lines presenting a different resonance to the poem. I didn’t know anything about Lee Miller when I first heard the poems, but the pamphlet comes with an essay and introduction and they help contextualise just how incredible a figure Lee Miller was. I found myself referring back to the images and re-reading the poems, but also often shocked at the story (the true story), I was being presented with. I can heartily recommend all of Jacqueline’s poetry (I haven’t finished ‘All My Mad Mothers’ yet, but I am sure it will be amazing! ), her poetry has a universal quality to it, and as someone who has had an awkward upbringing, I often find her poetry says something to me as a reader. I know this is a book I will revisit regularly. Another very short moment of disclosure… I am very good friends with Hilda. But I am not going to let that get in the way of saying just how much I adore everything Hilda has ever written, and specifically how much I love this book. It is an odd book – which if you know Hilda’s poetry won’t surprise you. When you hold it, the ink comes off the surface of the black inked book… there is no need to create a metaphor, this is poetry that leaves a mark. The short 14 poem pamphlet includes brilliant artwork from Jill Carter and wow do they work together well. Jill also created the artwork for Hilda’s previous pamphlet ‘Frances and Martine’ (as a very short aside – Frances and Martine make a cameo appearance in the pamphlet!). I’m so tempted to get many of these books your reviews make me want to get ordering. I will order The sky is cracked for a Xmas read. I’ve a two yard thick of reviews to get through as well. Thanks for the inclusion of my book it has made my week.